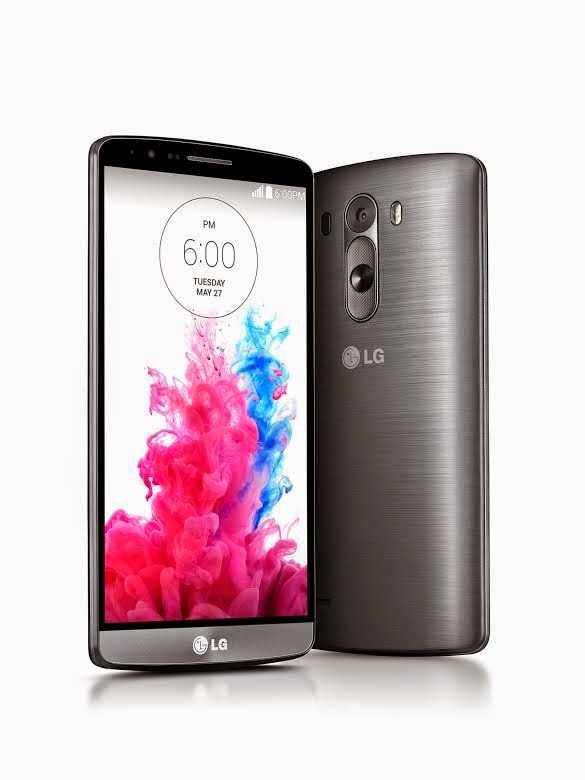 It's no secret that I've been a fan of the LG brand lately. So today, I hung out on my hammock in the back yard and watched the live streamed event announcing the G3. Not as high on the detailed specifications, they did unveil a fair bit of the device. 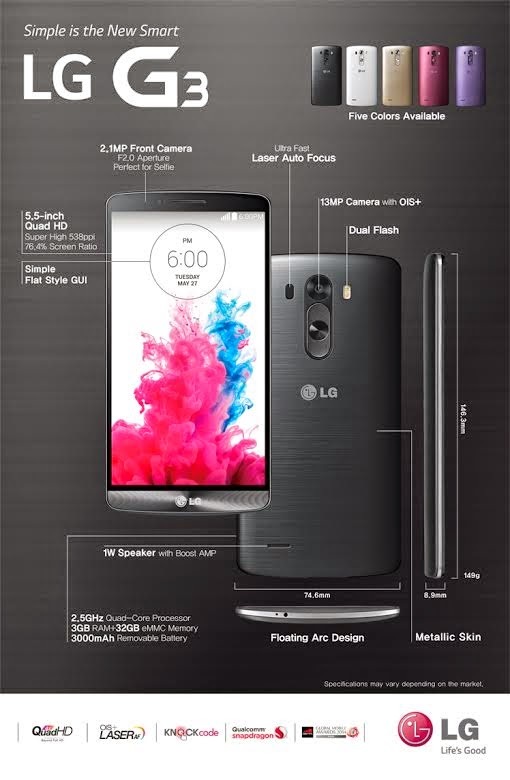 13MP with LASER focusing and Optical Image stabilization. Lasers allows for fast FAST focusing. OIS (similar to last year's model) allows for tack-sharp photos in less than ideal scenarios. With less bezel than before it's only slightly wider than 5" model phones (I can't wait to see how it is against the Note 2) meaning that the front of the phone is now 77% display. Metal brushing on the bottom is neat and really helps you determine what's top and bottom in my mind. They also commented on the simpler looking design to make it more intuitive. Especially in areas like the keybaord which will be adjustable for height and better autocorrects. The battery stayed the same at 3000mAh but they've now made it removable... AND it's now Qi charging compatible (YAY). I've put all the stats on our database for you to check out. Not a big bump in some areas, but I'm still awestruck by the 4K display idea. Then there was the accessories... a Qi charger, wireless headphones, Circle case (think S View, but a circle)... and best of all, a G Watch teaser. Excited? I am... just only one thing it was missing: how much and when. I know I'll be paying close attention to that bit of info.